Rotherham United Manager Paul Warne said that all his substitutions on Saturday were tactical. I’ve said before I was a little bit puzzled when forward Kyle Vassell didn’t appear for the second half and midfielder Ryan Manning took his place. But, aren’t we Millers pleased that he did! The Galway born twenty-two year old joined the Millers in August on a season long loan from fellow Championship side Queens Park Rangers and took the roll of penalty taker. His four goals so far this season have come from the spot – all at the New York Stadium – the first being the only goal against Derby and his second in the draw over Stoke City. Then the two on Saturday. Both his penalties on Saturday went the same way and after the win over Swansea City he spoke to iFOLLOW saying he wasn’t sure until he placed the ball which way he’d take the second one. And, of course, those penalties could mean a big difference to the Millers. 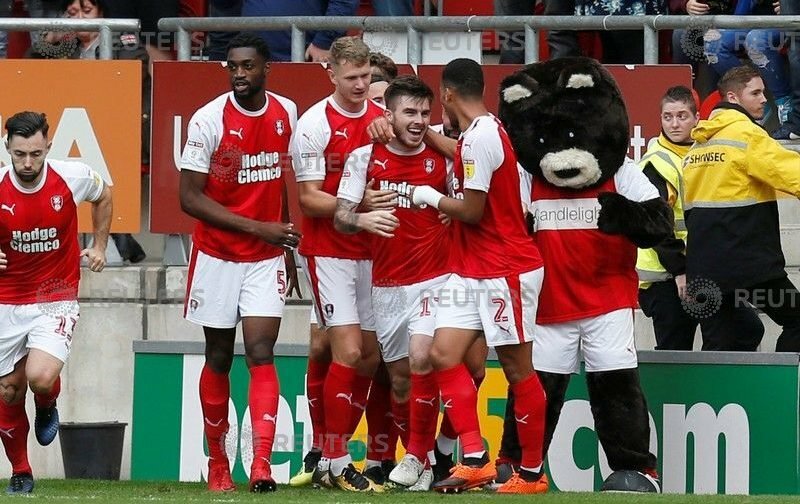 Last season, I believe, though stand to be corrected, that the last penalty we scored was to beat Doncaster Rovers two-one at the New York Stadium after coming back from one-down to one-all, Joe Newell stepped up and put the ball in the net from the spot with the last kick of the game. Those three points probably helped us get to Wembley. Ryan also added praise for Marek Rodak and the back four on Saturday who he said kept the opposition out of the game to give the front players a chance to score. I’m actually struggling to remember the last time we scored two penalties in a game? Any of you stats buffs out there know?